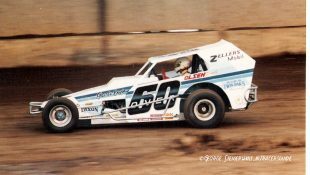 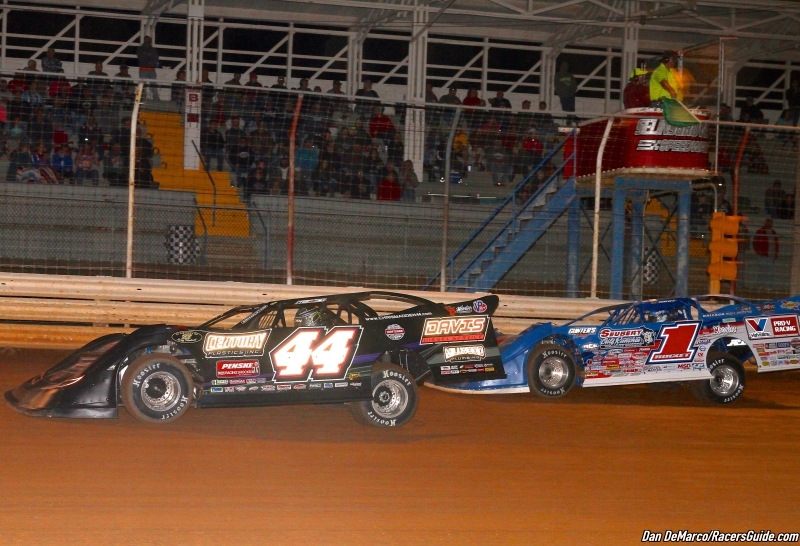 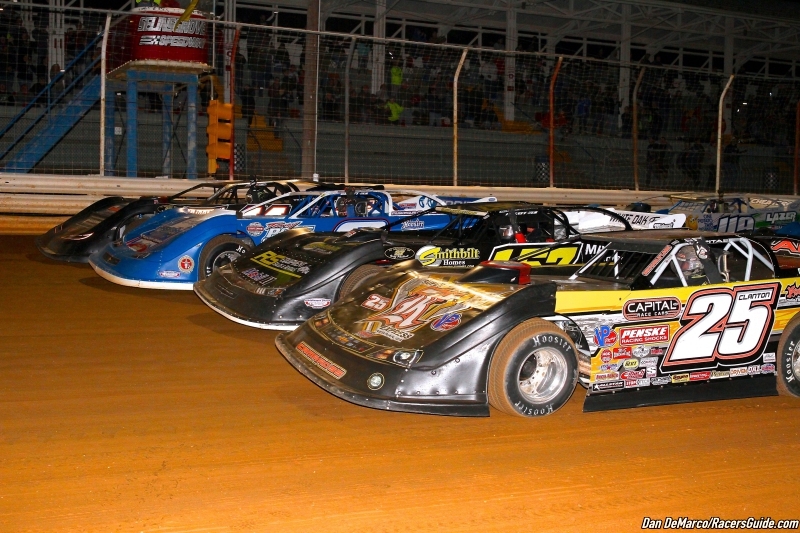 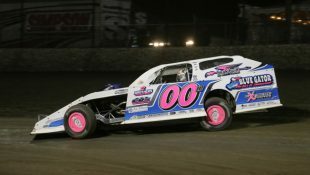 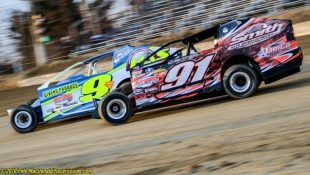 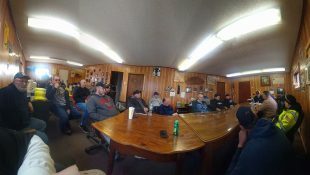 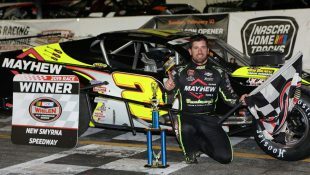 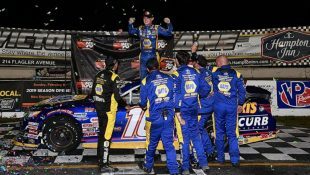 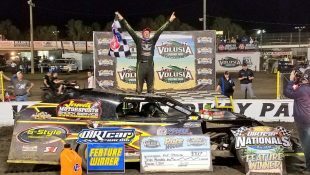 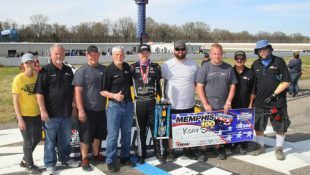 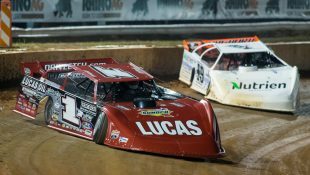 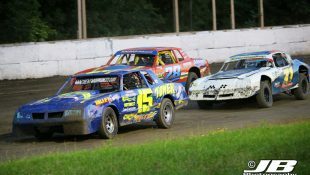 Mother Nature stays away from the track and Chris Madden’s effort to win his first Late Model National Open :Racers Guide – The Web's #1 Racers' Online Directory! 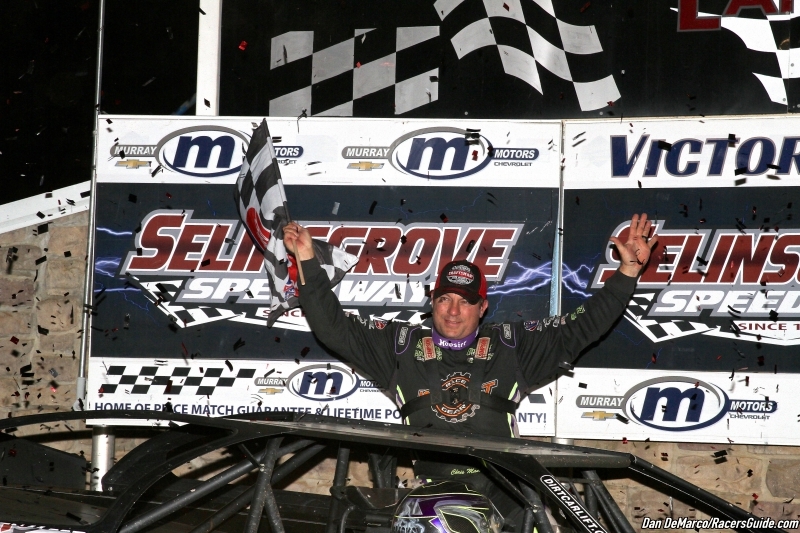 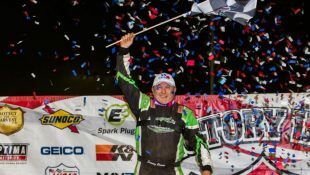 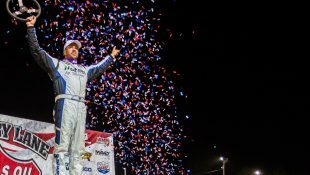 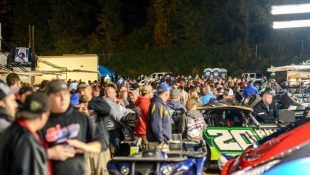 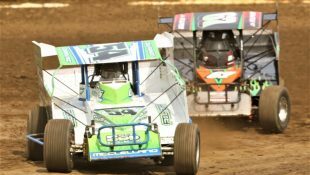 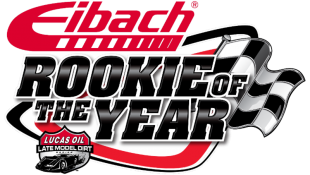 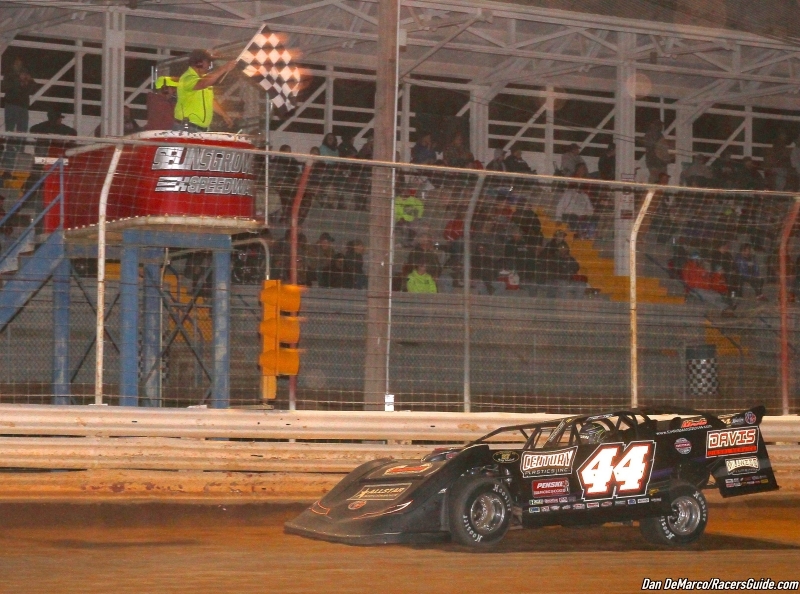 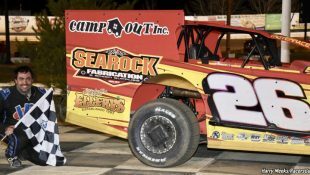 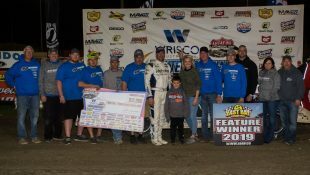 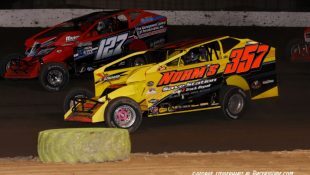 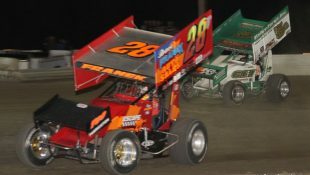 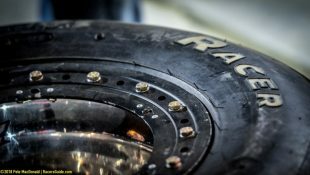 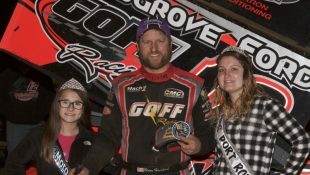 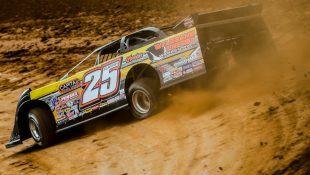 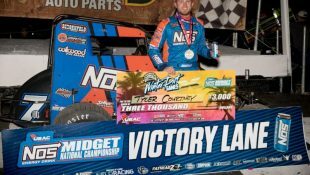 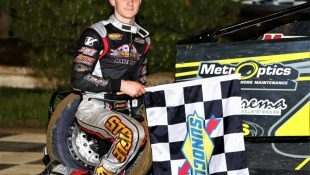 SELINSGROVE, PA – Sept. 22, 2018 – The track was fast and the time was right for Chris “Smokey” Madden on Saturday night at the Selinsgrove Speedway for the 20th running of the Late Model National Open, as he picked up his eighth win of 2018 and 24th career all-time with the World of Outlaws. 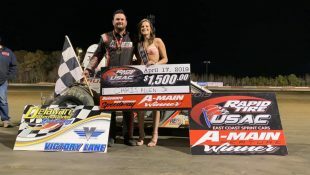 Re-drawing the outside pole after winning his heat race, Madden took control of the Sears Craftsman Feature on lap one and never looked back, leading all 50 laps on his way to another $10,000 payday. 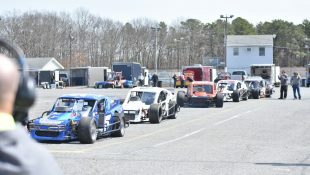 Racetrack conditions were perfect, as there was no threat of rain (as there was the night before at Outlaw Speedway, which ended in a postponement). 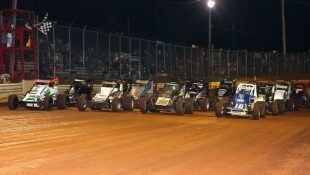 Three solid grooves of racing presented the fans in attendance with a great show that Madden himself approved of. 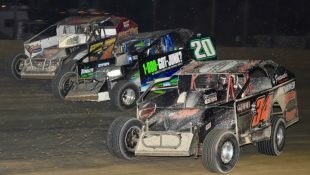 Next up is the postponed feature from Friday night at the Outlaw Speedway, which will be run on Sunday, starting with hot laps at 5:30. 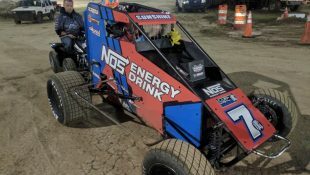 Madden will start 10th in that event, and he hopes to just be able to make it through the race cleanly to extend his points lead over Mike Marlar. 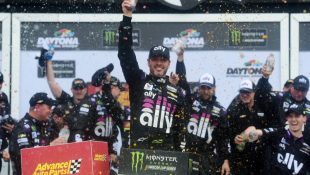 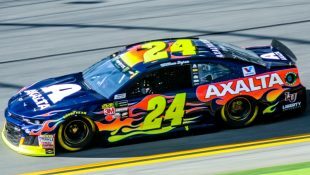 “We need to get through that race over there tomorrow and make up some positions and get up there to Mike to give ourselves a chance to win the race and also have a chance not to lose a bunch of points,” Madden said. 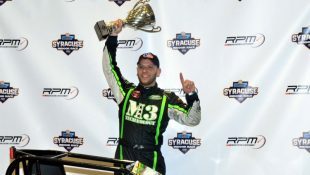 Devin Moran posted yet another podium finish in his post-rookie campaign with a strong second place. 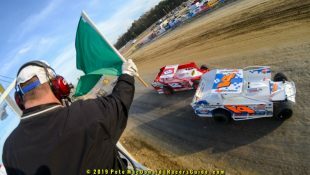 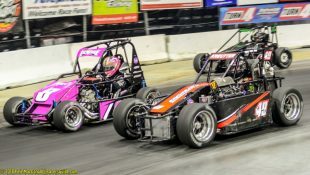 A big battle with Marlar ensued on a restart in the closing laps of the race, as a yellow came out with two laps remaining for fourth-place running Tyler Erb when he shredded a tire. 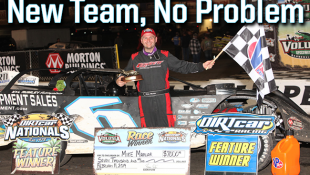 New Selinsgrove Speedway track record holder Mike Marlar crossed the line in third after the battle with Moran in the closing laps. 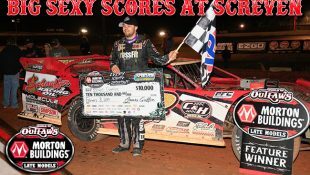 After a strong qualifying lap and a win in heat number two, Shane Clanton re-drew the pole and was looking to park it in Victory Lane on Saturday. 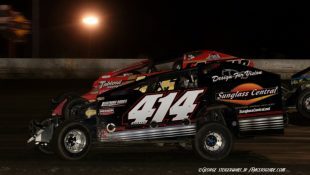 Unfortunately, fate had different plans, as he was battling for position with Devin Moran and blew a left-front tire early on. 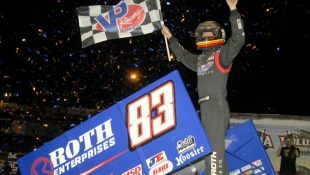 He would come back to finish 12th. 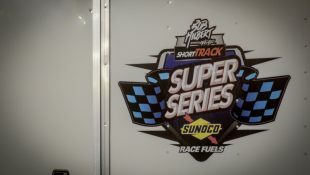 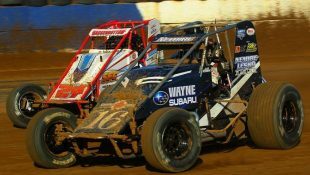 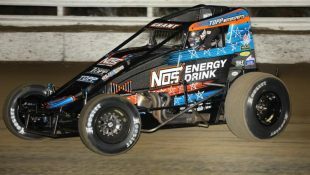 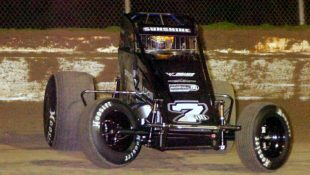 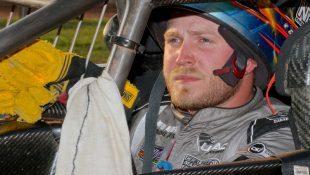 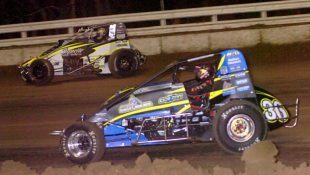 Repeat hopes for the Defending Series Champion Brandon Sheppard just got even further away, as he blew yet another engine at Selinsgrove, this time running second and challenging Madden for the lead. 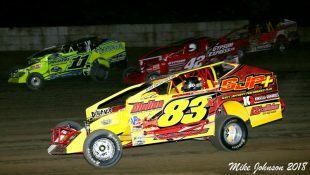 He starts fifth on Sunday at Outlaw Speedway. 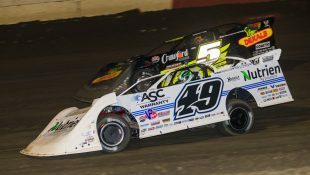 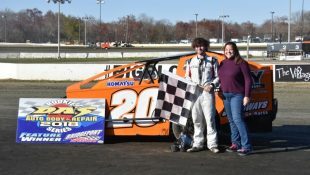 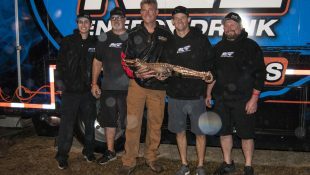 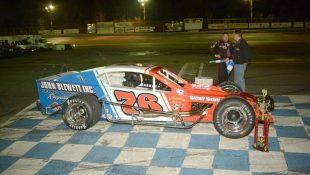 Defending Late Model National Open winner Jeff Rine was unable to repeat for his sixth title, but did make a valiant effort, coming all the way from 17th to finish fifth, picking up the Hard Charger Award in the process.